The Hooligan Motorsports team is excited to announce the return of several sponsors, as well as the addition of a new one for 2017! Visit Lazy Dog Beer Shoppe in Londonderry, NH for all of your favorite craft brews. They also carry local wines, salsas, hot sauces, and more! 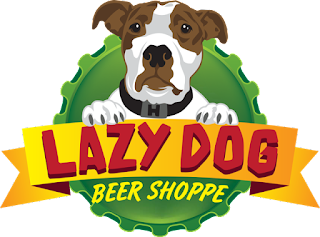 Drink - and shop - local! Smoky Quartz Distillery in Seabrook, NH is a veteran owned and operated craft distillery producing bourbon, rum, vodka, and moonshine. 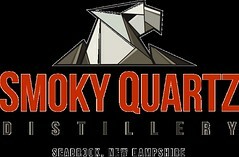 If you're in the area, stop in for a tour and tasting! When you're hungry, Granfanallys in Salem, NH is the place to go for some amazing pizza, wings, burgers, pasta, and more! Whether you dine in or take out, you won't be disappointed! 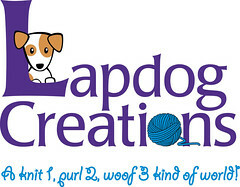 We will also be representing Lapdog Creations and Friends of Rescue (FOR) again this year. 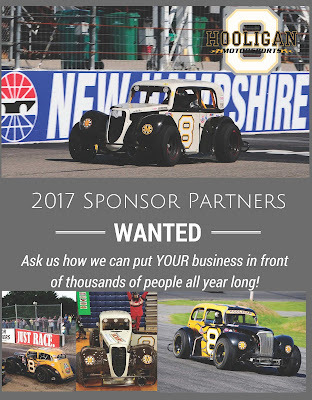 There's still time to join us for the 2017 season and get your business in front of thousands of people all season long! Get in touch ASAP to talk about this unique - and affordable - form of advertising! As the team is preparing both cars for the 2017 season, we are also looking to add marketing partners to our awesome sponsor family. Get in touch and find out how we can put your business in front of thousands of folks all year long... for less than the cost of most newspaper advertising! 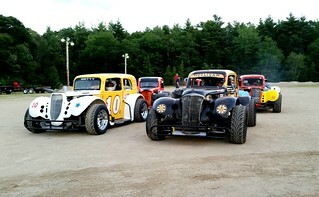 Scarborough, ME – After being rained out last week, Thursday Thunder legends competitors made their way to the Beech Ridge Motor Speedway on a sunny afternoon, all hoping to post a good result at round 9 of the 10 race series. Points battles have really taken shape for some of the higher positions, as well as for those looking to crack the top 10. Kevin Girard Jr. came in with a 52 point lead over Bob Weymouth, who holds 30 points over Alan Smith. Smith leads a tie for 4th place, between Tylar Braunschweig and Joe Pastore, by just a single point, and 6th place driver Steve Benincasa sits 42 points behind the final trophy position. On the front row for the 25 lap feature was the 8 of Hooligan Motorsports pilot Matt Chagnot, alongside the Racin’ Realtor, Ed Getty in the 10. Chagnot, who has run very strong in the past few weeks particularly, proved his ability once again by taking hold of the race lead early on. Some good battles took place in the midst of the field while Chagnot showed the way, in what was one of the most evenly matched group of cars seen all year. Tylar Braunschweig in the 70 looked to back up his runner up finish at Wiscasset last Saturday night, as he set to the outside of Chagnot, prevailing with the top spot on lap 10. The next 9 laps ran clean and green, as Braunschweig started to open up a bit of a gap over Chagnot and Getty, while some of the perennial front runners inched their way towards the top 5. The race’s first caution came out on lap 19, when the Puzzled Racing 96 of Richard Humphrey spun, after incidental contact with the 92 of Colby Meserve. Braunschweig led the field back to the green, as the drivers on the inside line began to roll, which saw a stout lineup of cars, including the 59 of Reid Lanpher and the 19 of Kevin Girard Jr., who found themselves with an opportunity to win the race. Matt Grant in the 84 restarted in 6th place, but quickly dropped to the inside line to overtake Getty and Chagnot. He would not stop there though, as he jumped back to the outside and made the passes on Girard, Lanpher, and finally Braunschweig, to take over the race lead. Grant led lap 22, just before the caution came out again when the engine on the 72 of Mike Humphrey expired in turn 3, ensuing in a lengthy cleanup. Due to time constraints, the field would get one more shot at a green flag finish. Grant took off on the restart as Braunschweig tried his best to navigate off of turn 4, which was now covered in speedy dry. Unfortunately the fans would not see a green flag finish, as the 80 of Dylan Varney went for a spin right off the get-go, ending up backwards in the frontstretch wall, ultimately ending the race. 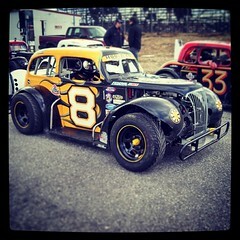 Varney walked away unhurt, and will repair the G&K Motors coupe to race again next week. Matt Grant earned his second consecutive feature win, his third of the year, in what has been a breakout season for the 21 year old Windham driver, Reid Lanpher battled to a solid 2nd place effort after starting 11th in his Team EJP coupe, Bob Weymouth in the 399 ran in the middle of the pack nearly the entire race, but made some swift moves in the end to grab a 3rd place finish, Tylar Braunschweig was oh so close to tasting victory once again in the Jim’s Auto/Ring’s Auto Body coupe, but will still walk away with a strong 4th place result, and Kevin Girard Jr. posted another top 5, as he will likely only need to start next week’s race in order to be crowned the 2015 Thursday Thunder Champion. 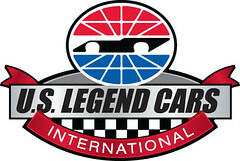 On Saturday, the Amsoil NELCAR Legends Tour will make their first appearance of the season to the New Hampshire Motor Speedway for a combination race with the Granite State Legends Cars. After this race, next Thursday will be Championship night for Thursday Thunder, as the 25 lap feature event will be followed by Autograph Hour and the final points awards presentation! 2014 Off to A Great Start - Race Recap! 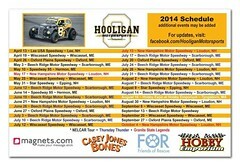 The 2014 season is off to a great start for Hooligan Motorsports! We began the season at Lee USA Speedway with a 10th place finish on April 13th. 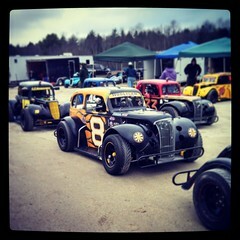 The following weekend, the #8 finished 7th at Wiscasett Speedway and we finished out April with a 10th place finish at Oxford Plains Speedway. Matt kept his momentum going for the month of May, beginning the month with a 6th place finish at Beechridge Motor Speedway. 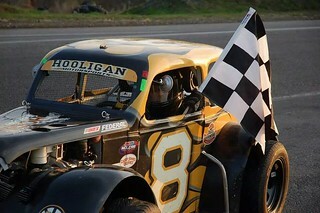 After taking his first US Legends career heat win at Speedway 95 on May 10, Matt took home 7th place in the feature. 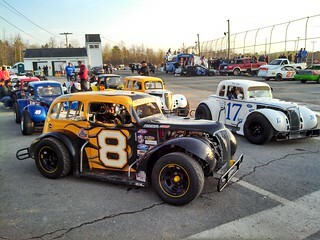 We took advantage of a day off from the tour on May 17 and visited the New Hampshire Motor Speedway / Granite State Legends Oval, taking home 6th place. 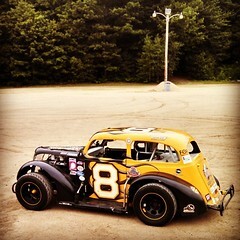 The NELCAR tour rounded out May with 3 races in 7 days... the #8 took home 5th at Wiscasset, 10th at Oxford and 6th at our "home track," Star Speedway! June has approached quickly and brings about the start of the Thursday Thunder series at Beechridge, where Matt started off with an 8th place finish last week. The NELCAR tour visited Speedway 95 for the last time in 2014 on Saturday June 14, giving Matt another 5th place finish. We are excited for what's to come in 2014! 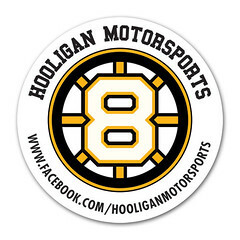 The #8 Hooligan Motorsports car currently sits in 3rd place overall for the NELCAR Tour and 8th place for Thursday Thunder. 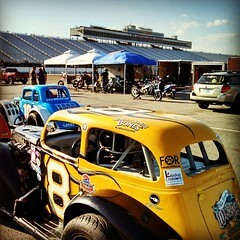 This weekend brings us back "home" to New Hampshire Motor Speedway for a combined Granite State Legends & NELCAR race... hope to see YOU there! The NELCAR tour headed North to Speedway 95 on Saturday night for the fifth race of 2014. 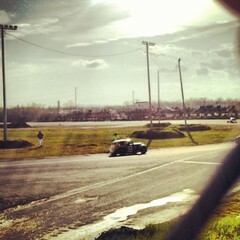 Despite the rainy day, the sun was shining by the time we hit the track for practice. 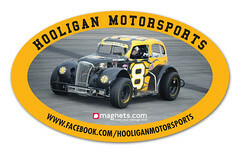 The Hooligan Motorsports #8 started on the outside pole in heat #1 and quickly moved into the lead, never looking back. 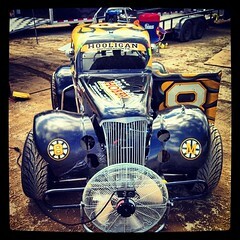 Matt took home his first Legends career heat win! 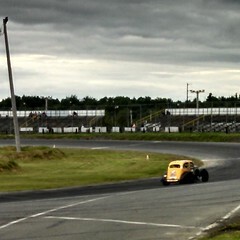 Matt started the feature race on the pole and took off in front of the pack. A few laps in, the #8 got too far up into the outside grove and spun in turn 4, sending Matt to the rear of the pack. He worked his way back up, and recovered with a 7th place finish. 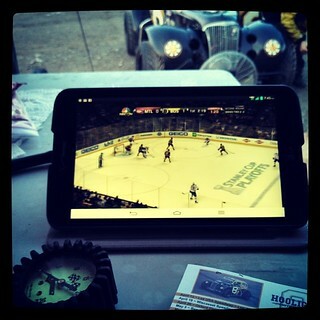 For those wondering, yes, the Hooligan Motorsports team made sure to keep up with the Bruins playoff game all evening! 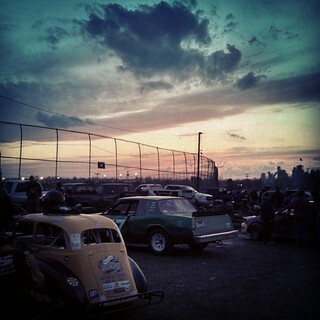 A B's win and a beautiful sunset over Speedway 95 were icing on the cake after the great day the #8 had. We are FOR Rescue - are you? 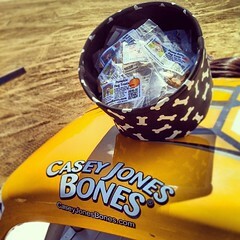 We are thrilled to partner with Friends of Rescue for another season! 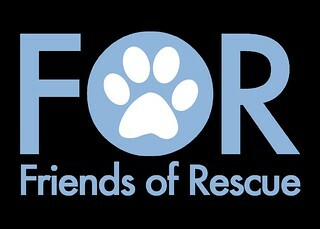 Friends of Rescue is a 501c3 non-profit, non-breed-specific dog and cat rescue in North Alabama. 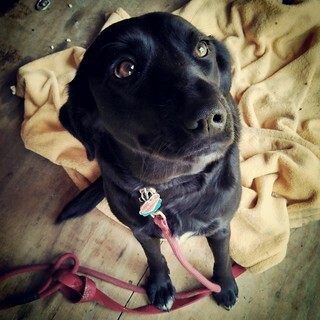 All of our animals are placed in foster homes and are fully vetted, spayed/neutered, and micro-chipped. Animal rescue is near and dear to our own hearts. We have adopted and fostered many dogs over the years, and enjoy spreading the word. If you've visited the NELCAR pits anytime in the past 3 years, you just might recognize this face. Belle was one of our Friends of Rescue foster babies who stole the hearts of nearly every single person in the pit area at NHMS the day we picked her up! She found her forever home with the Cannell's (Pete drives the #49 NELCAR Legend car) and has been at the race track ever since. Stop by our pit to find out more information about FOR, including adoption of the their amazing dogs and cats to New England!